My nearly-seven-year-old nephew Silas has come down with the same thing I and every kid of my generation had at the same age - Star Warsitis. He's obsessed and I think I may have helped start it. Last Christmas I gave him my copy of LEGO Star Wars: The Complete Saga for Wii and it immediately took hold of his brain. Every bedtime story you tell him involves Master Yoda or Chewie or Storm Troopers. He can rattle off the plots to all six movies without hesitation. And, worst of all, he thinks Episodes I, II and III were good. But he's a child. He's seven. He hasn't had the time to learn that the new trilogy is far inferior to the originals. 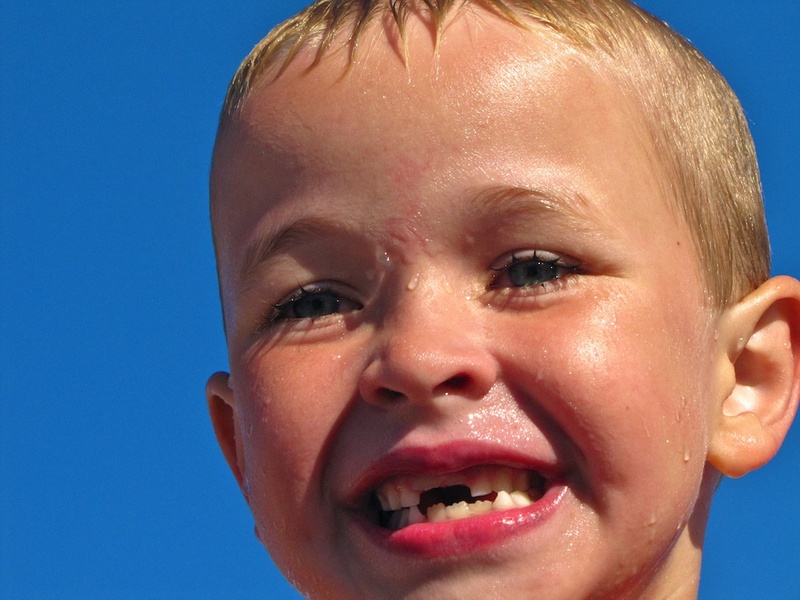 He's going into first grade this year and that's a big deal. Lauren and I wanted to get him something but couldn't come up with any good ideas. Until we were in Williams-Sonoma last night. There, on a table, was a pyramid of Star Wars lunchboxes. 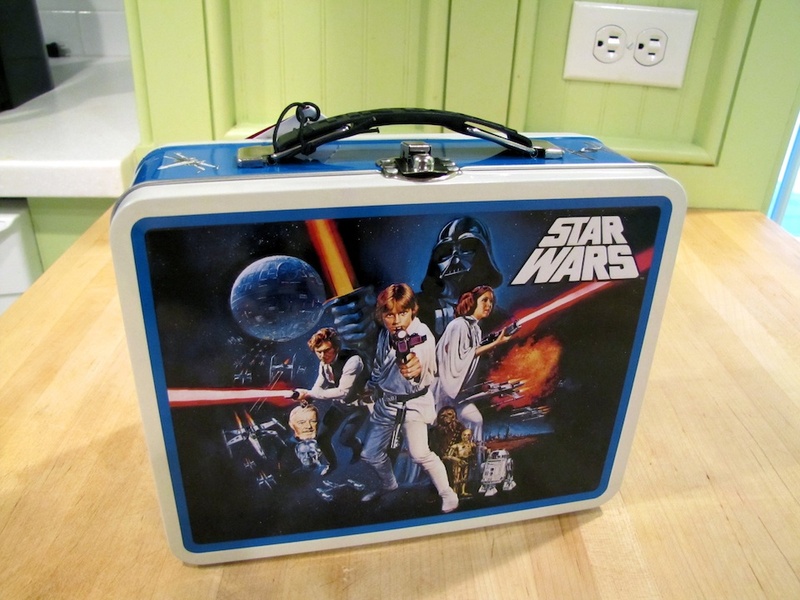 Metal Star Wars lunchboxes. With the raised images on the front. Like the one I had, but smaller. 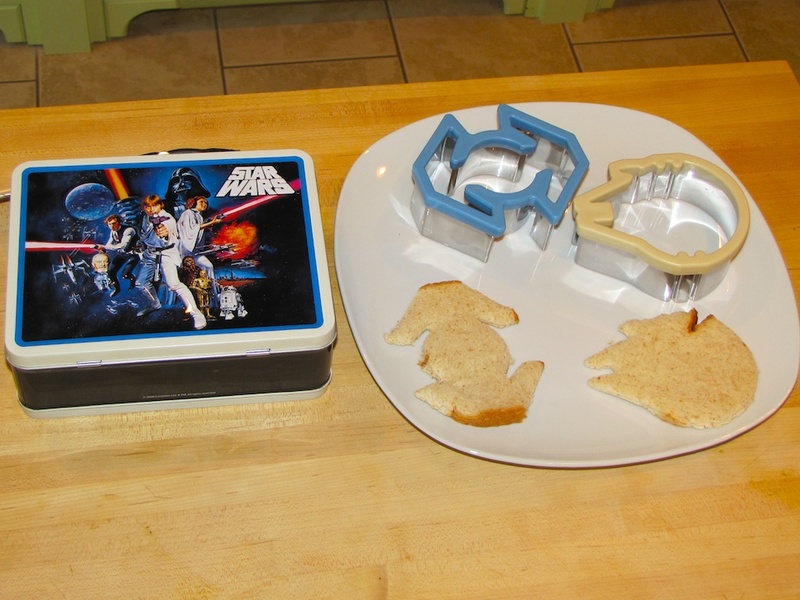 Inside the lunchbox were two sandwich cutters - one in the shape of Darth Vader's TIE Fighter from Episode IV and the other in the shape of the Millennium Falcon, the coolest space ship ever. 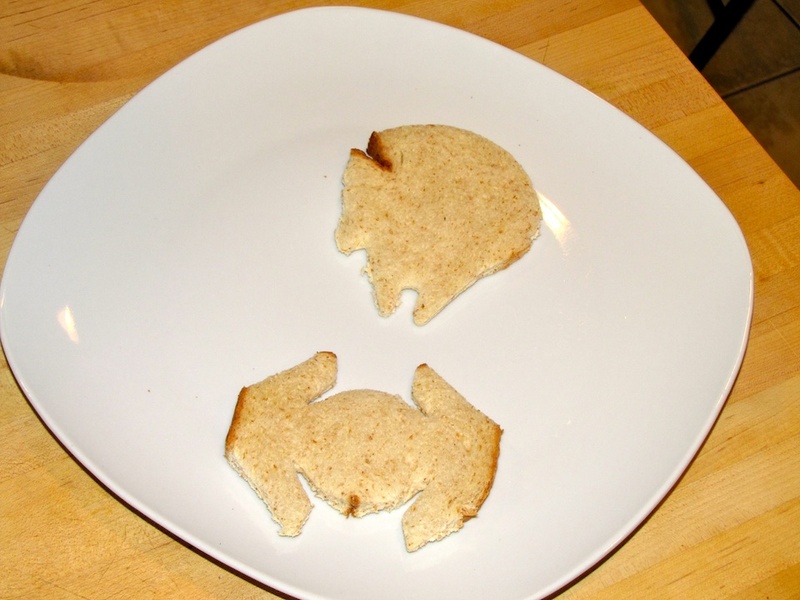 As soon as I got home I grabbed two slices of bread and cut out the space ships. When Lauren wasn't looking, they flew around the kitchen and fired lasers at one another until I ate the wing off Lord Vader's TIE Fighter, sending him into a fatal spin. Then I ate both ships. The cool thing is that Williams-Sonoma has more Star Wars stuff. A little kid's apron, cookie presses and pancake molds. I thought about buying myself the pancake molds, but I'm more of a French Toast man and the thoughts of a stack of Millennium Falcons has me on the fence. Do I buy the lunchbox and sandwich cutters or do I go for the pancake molds? Oh thank you for the post, Jason! My own Star Wars maniac (he's 32) is going to probably need the sammich cutters in the kitchen. Glad that the new generation is just as into SW as we were when we were kids!